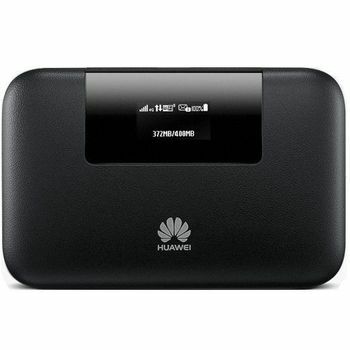 Huawei E5770 Mobile WiFi Pro 4G router features a lightweight and compact design. This Huawei WiFi router sports a black finish.Enjoy blazing fast Internet speeds on the go with the Huawei E5770 320 Mobile WiFi Pro 4G Router. 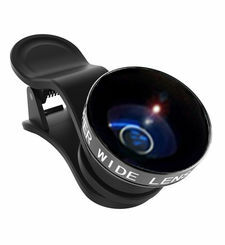 It features an array of built in innovations that make your browsing experience easier. This Huawei WiFi router has a wallet design that is compact enough to fit in your pocket. Furthermore, it is fashioned with ornamental plated mid frame and leather texture that exude a smart look. The Huawei E5770 is powered by a 5200mAh battery that is powerful enough to be a power bank for your other devices like such as tablets, phones, music players, and Bluetooth headsets. This Huawei WiFi router has an LTE Cat 4 network support that provides download speed up to 150Mbps. 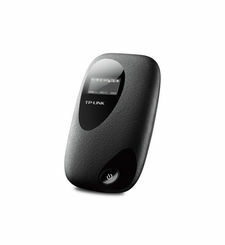 This Huawei WiFi router allows you to access the internet via LTE or 3G network or via WiFi. When you are in WiFi hotspot areas, the Huawei E5770 automatically switches to WiFi connections to save your network data. The Huawei mobile WiFi Pro has a microSD card slot that allows you to insert a microSD card of up to 32GB. So you can share files with other devices with ease. You can quickly share photos, apps with your friends through the same mobile WiFi. The Huawei E5770 incorporates a 5200mAh battery that provides up to 20 hours of uptime. The USB interface allows you to supply power to other devices like mobiles and tablets. This WiFi router can provide hotspot to up to ten users at one go. 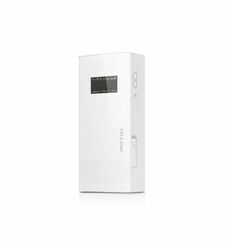 Huawei E5770 Mobile WiFi Pro 4G router features a lightweight and compact design. This Huawei WiFi router sports a black finish.Enjoy blazing fast Internet speeds on the go with the Huawei E5770 320 Mobile WiFi Pro 4G Router. It features an array of built in innovations that make your browsing experience easier. This Huawei WiFi router has a wallet design that is compact enough to fit in your pocket. Furthermore, it is fashioned with ornamental plated mid frame and leather texture that exude a smart look. The Huawei E5770 is powered by a 5200mAh battery that is powerful enough to be a power bank for your other devices like such as tablets, phones, music players, and Bluetooth headsets. This Huawei WiFi router has an LTE Cat 4 network support that provides download speed up to 150Mbps. 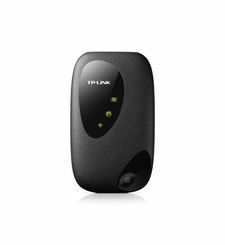 TAKES YOU PLACES This Huawei WiFi router allows you to access the internet via LTE or 3G network or via WiFi. When you are in WiFi hotspot areas, the Huawei E5770 automatically switches to WiFi connections to save your network data. EASYGOING IN EVERY WAY The Huawei mobile WiFi Pro has a microSD card slot that allows you to insert a microSD card of up to 32GB. So you can share files with other devices with ease. You can quickly share photos, apps with your friends through the same mobile WiFi. POWERFUL PERFORMANCE The Huawei E5770 incorporates a 5200mAh battery that provides up to 20 hours of uptime. The USB interface allows you to supply power to other devices like mobiles and tablets. 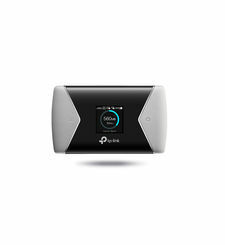 This WiFi router can provide hotspot to up to ten users at one go.